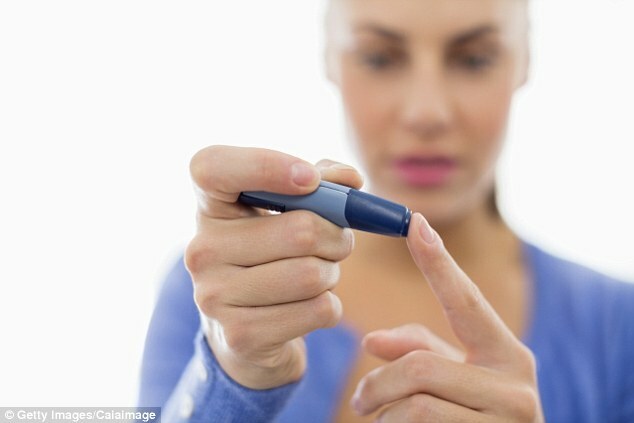 Diabetics will be given low-calorie liquid diets under radical plans to beat the disease. NHS chiefs hope that prescribing fat-free shakes and soups for up to five months will reverse the illness. If the trial succeeds, the treatment will be rolled out nationally. Research funded by Diabetes UK has already found that half of Type 2 diabetics on the diet were in remission within a year. Details of the strategy are likely to be set out in November. It is based on the idea that Type 2 can be conquered if patients lose enough weight. On the diet, they would consume between 810 and 850 calories a day, depending on the flavours of the four shakes and soups they choose. Many would shed the pounds very quickly after previously taking in as many as 3,000 calories a day. The liquid diet was described as an exciting development by Jonathan Valabhji of NHS England. 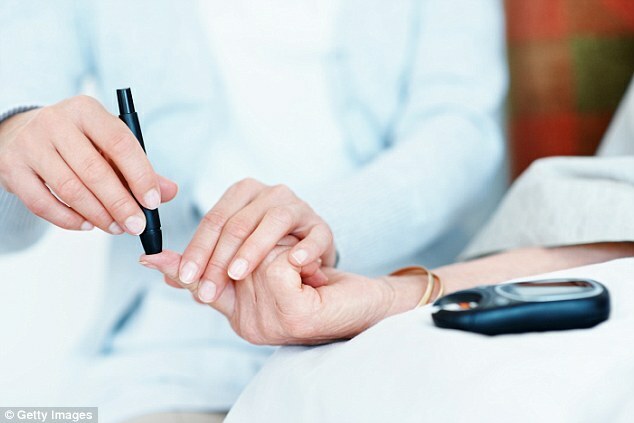 ‘The trial involved 300 people, of those in the intervention arm a staggering almost 50 per cent their diabetes went into remission,’ said the professor. ‘Their blood glucose levels fell into the non-diabetic range. He said the average weight loss of 2 stone and 5lb was staggering. The number of diabetics has doubled to nearly four million in the past 20 years. Nine in ten have Type 2, which is strongly linked to excess weight. The illness strikes when insulin in the pancreas does not work properly or the pancreas does not make enough insulin. This causes a rise in glucose levels in the blood which, if untreated, lead to heart disease and strokes, kidney disease, liver failure, blindness and damage to nerve endings in the feet. One in six patients staying in hospital overnight has diabetes and the condition is estimated to cost the NHS £9billion a year. The British Heart Foundation has warned that the condition will lead to 400,000 cases of heart disease annually by 2035, 30 per cent more than now. Last month the Daily Mail revealed that children as young as nine were being treated with Type 2 diabetes. Professor Valabhji, a consultant diabetologist at St Mary’s Hospital in central London, said: ‘Not only are we seeing greater numbers, what we’re also rather frighteningly seeing is younger age of onset. ‘I may have been looking after the grandfather for the last couple of decades who was diagnosed at the age of 65, then the father came onto my book who was diagnosed at the age of 48, now I’ve got the granddaughter diagnosed at 29. He said diabetes was the health crisis of our times: ‘Over three-and-a-half million of our population have diabetes, 92 per cent have Type 2 diabetes. ‘As we as a population over the last seven decades have had greater availability of food and watched our waistlines expand, so we have seen higher and higher numbers with Type 2 diabetes. ‘It’s an important issue for the NHS, for taxpayers and not just our health system but any health system across the world. It compromises life expectancy, it’s one of the commonest causes of sight loss of people of working age, one of the commonest causes of kidney failure. The successful liquid diet was tested in a study of 298 patients carried out by Newcastle and Glasgow universities. Results published in the Lancet in December showed that 46 per cent per cent were remission from diabetes within a year. NHS England wants its own trial to be rolled out in waves, through GP surgeries, next year. Professor Roy Taylor, of Newcastle University, who led the initial study, said: ‘What we can say very clearly is that this method is simple enough and practical enough to achieve remission in about half of all people. Simon Stevens, who is chief executive of NHS England, said: ‘The nation’s expanding waistlines are placing people at much greater risk of cancers, heart attacks and other killer conditions as well as more cases of Type 2 diabetes.